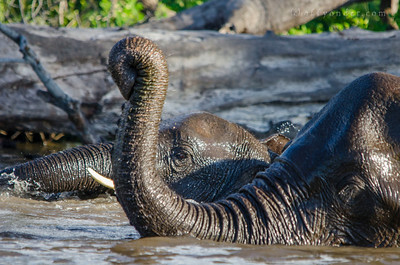 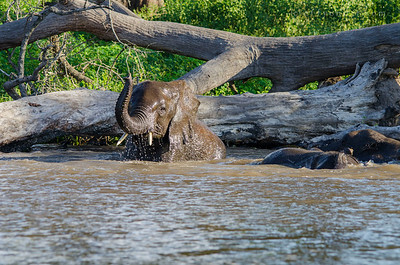 CHOBE NATIONAL PARK, BOTSWANA - Bathing adolesent elephant (Loxodonta). 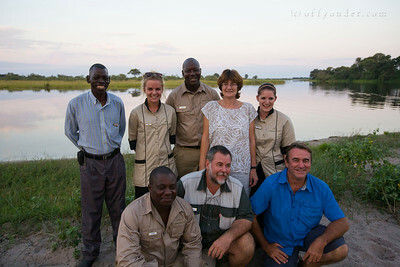 BUFFALO CAMP, BWABWATA NATIONAL PARK, NAMIBIA - Dinner with local Quay Trackers. 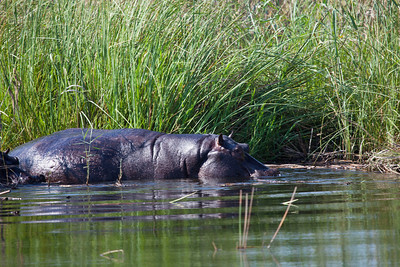 BWABWATA NATIONAL PARK, NAMIBIA - Dozens of hippos keep cool in the water. 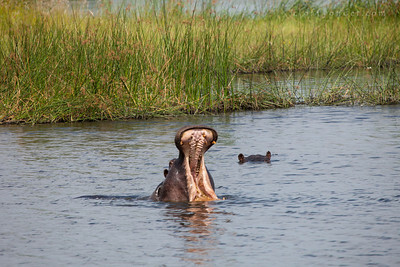 BWABWATA NATIONAL PARK, NAMIBIA - A hippo makes a warning display. 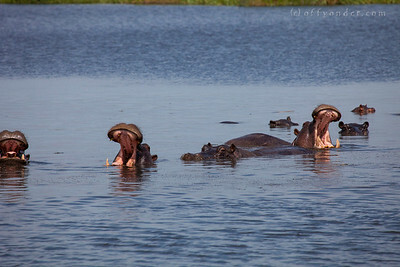 BWABWATA NATIONAL PARK, NAMIBIA - Hippos. 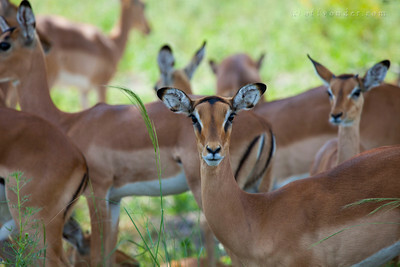 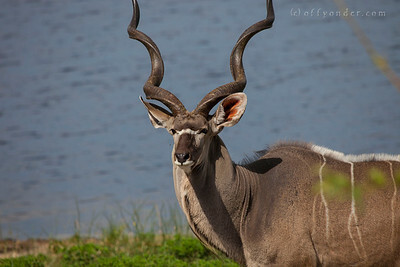 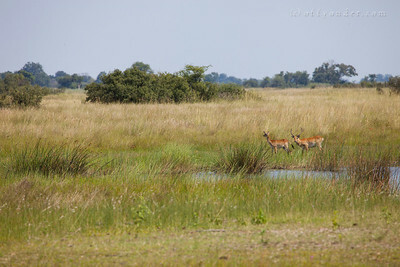 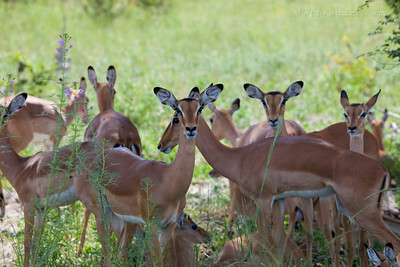 BWABWATA NATIONAL PARK, NAMIBIA - Red Lechwe. 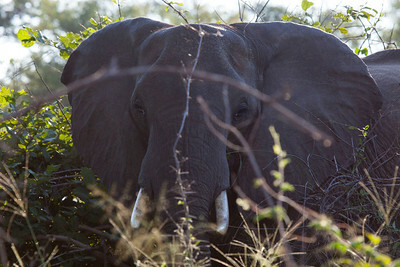 BWABWATA NATIONAL PARK, NAMIBIA - Elephant. 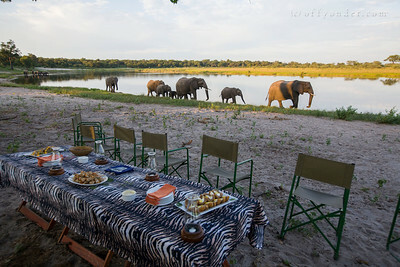 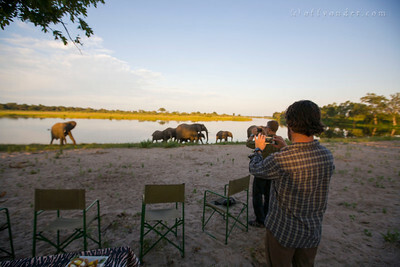 HORSESHOE BEND, KWANDO RIVER, NAMIBIA - Sundowner (sunset drinks) hosted by Susuwe Island Lodge with elephants, hippos, baboons and impala all sharing the beach. 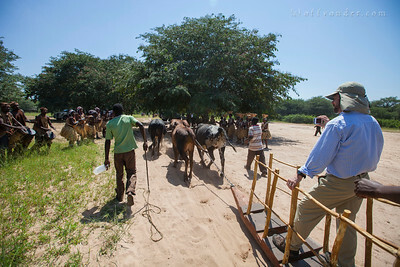 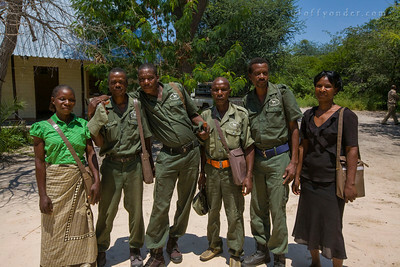 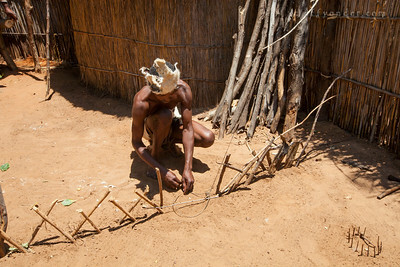 MAFWE LIVING MUSEUM, NAMIBIA - Showing various methods of animal traps and snares. 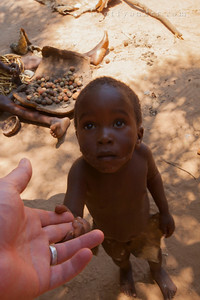 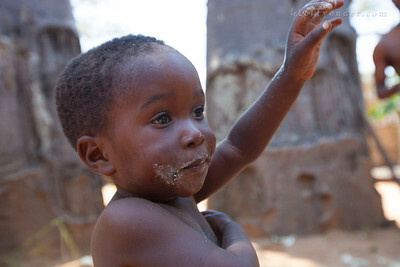 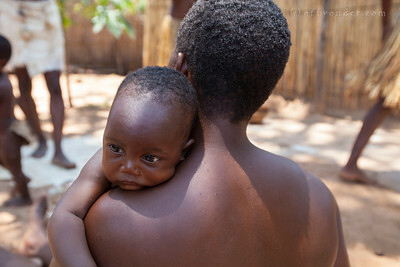 MAFWE LIVING MUSEUM, NAMIBIA - A new friend. 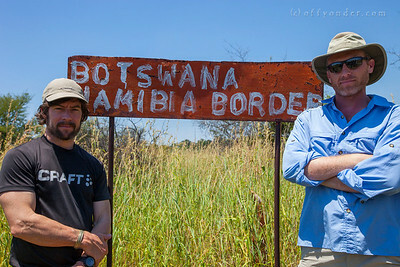 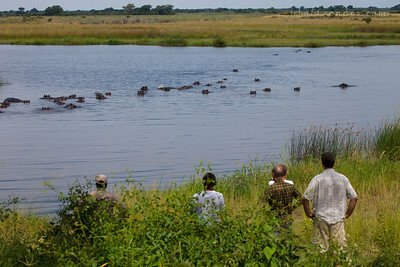 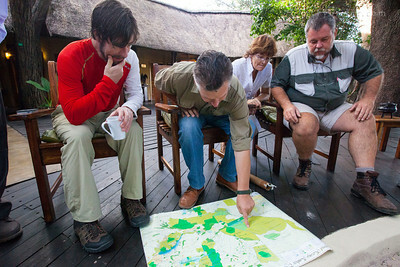 SUSUWE ISLAND LODGE, BWABWATA NP, NAMIBIA - Dr. Richard Diggle points out large game migration routes through the Caprivi region. 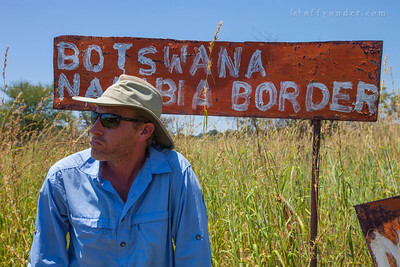 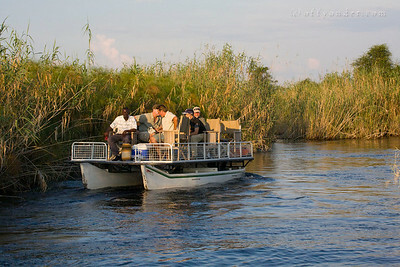 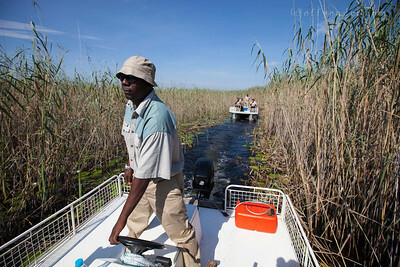 BWABWATA NP, NAMIBIA - Motoring through the narrow backwaters of the Kwandu River. 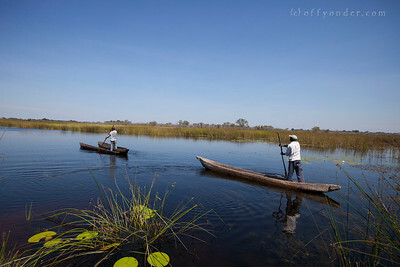 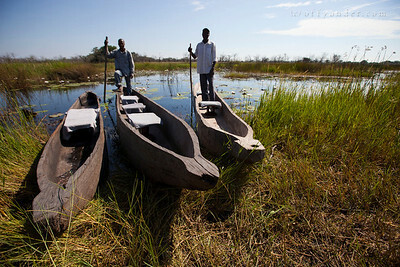 BWABWATA NP, NAMIBIA - Makoro: traditional dugout canoes on the Kwandu River. 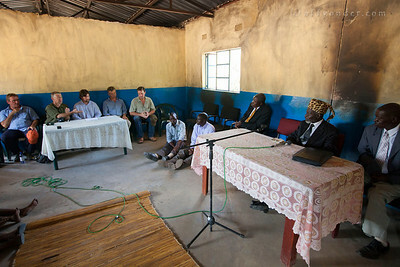 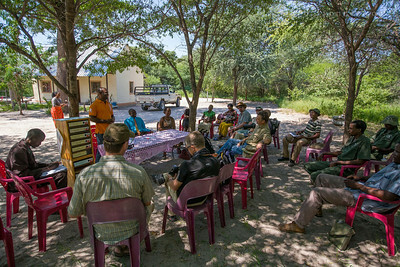 MASHI TRADITIONAL AUTHORITY, CAPRIVI, NAMIBIA - After a traditional ox sledge ride and welcome dancing by the Mashi Cultural Group, Chris Doyle of the ATTA and members of the WWF met with the honerable Chief Mayuni for a briefing on the Joint Venture (JV) tourism projects. 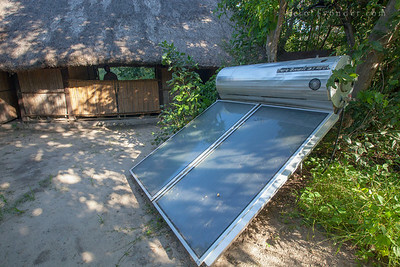 MAZAMBALA CAMPSITE, CAPRIVI, NAMIBIA - One of the Joint Venture campsite programs with solar heated showers and water spigots. 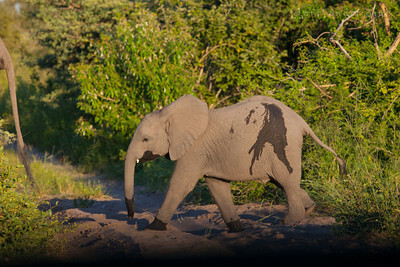 BWABWATA NATIONAL PARK, NAMIBIA - Baby elephant. 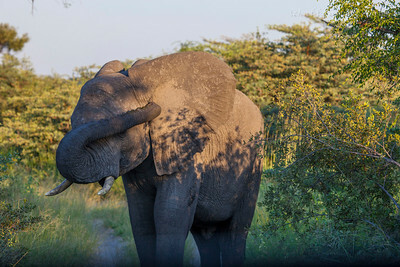 BWABWATA NATIONAL PARK, NAMIBIA - Bashful elephant. 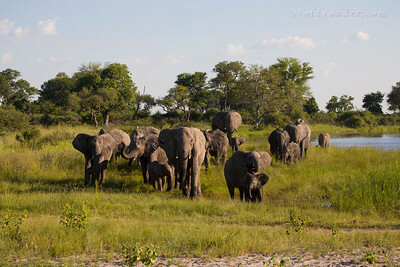 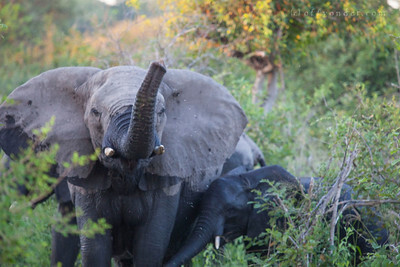 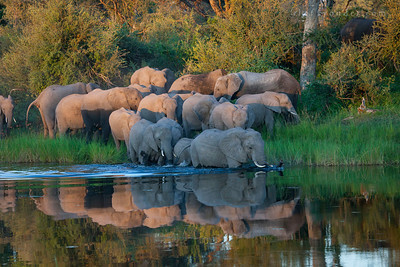 BWABWATA NATIONAL PARK, NAMIBIA - Elephants. 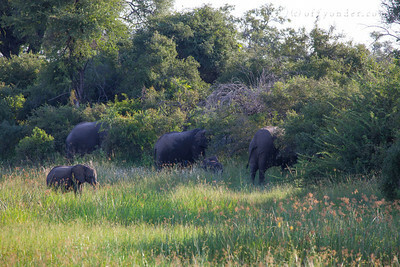 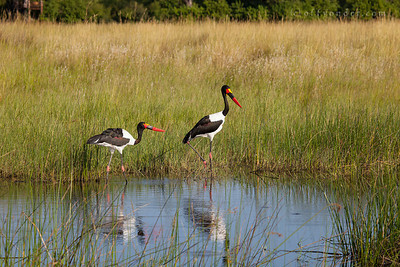 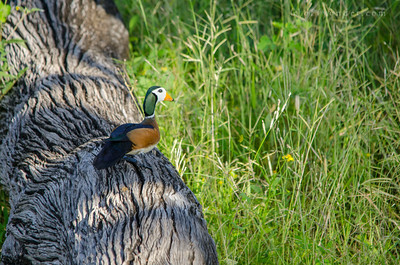 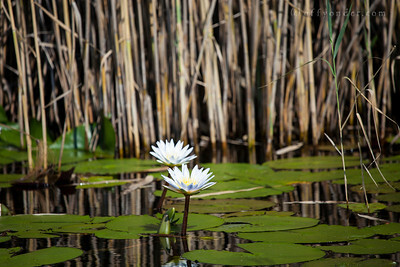 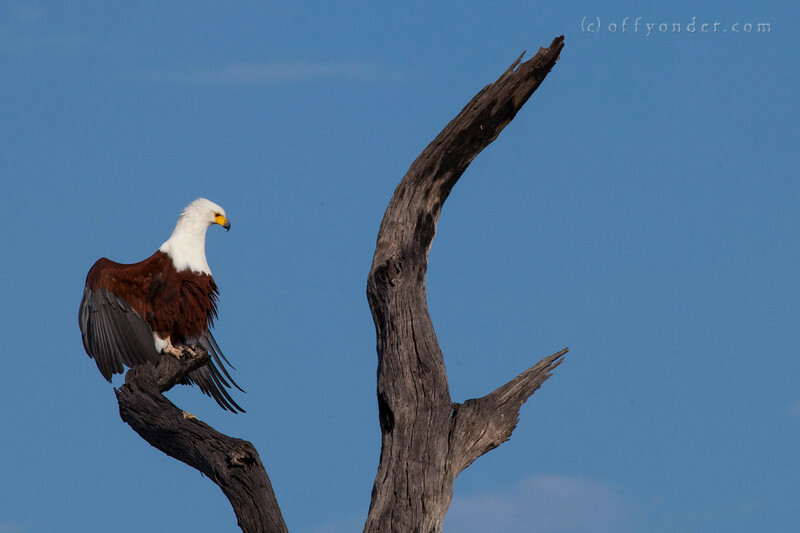 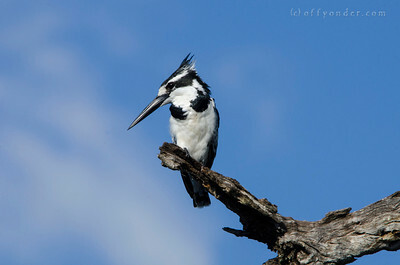 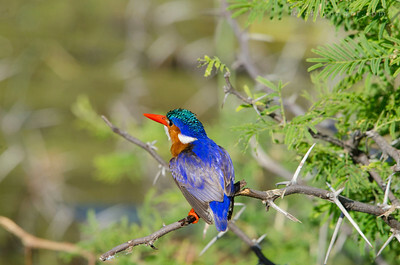 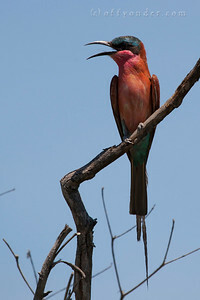 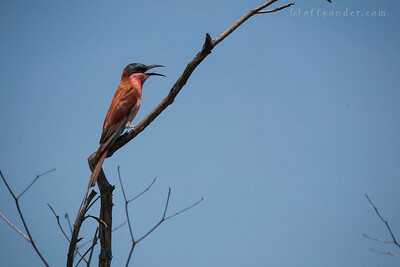 BWABWATA NATIONAL PARK, NAMIBIA - Driving safari. 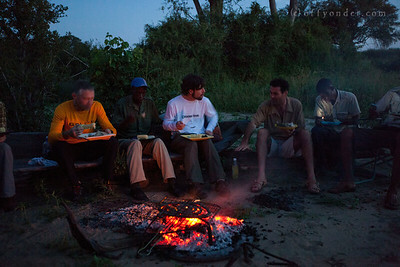 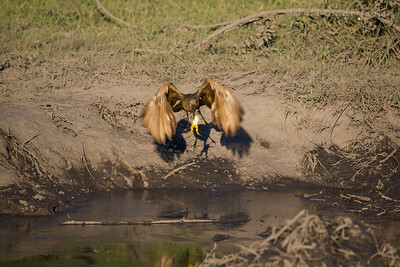 BWABWATA NATIONAL PARK, NAMIBIA - Dinner is served. 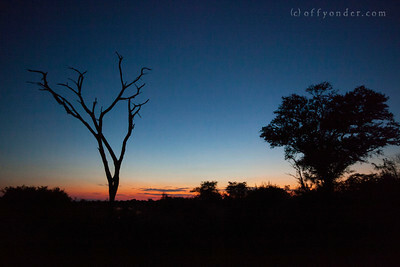 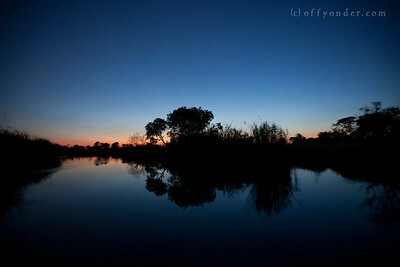 BWABWATA NATIONAL PARK, NAMIBIA - Kwandu River Sunset.